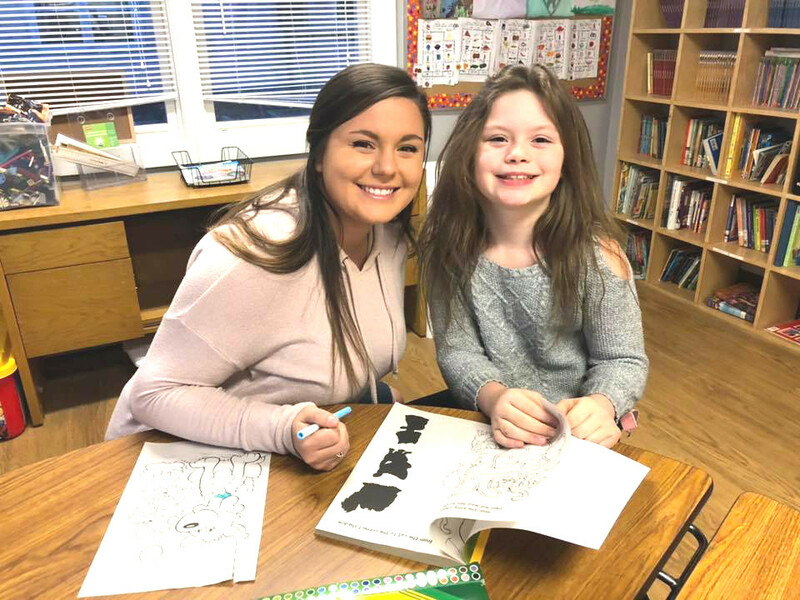 Husson University student and Big Sister Mikhaila Necevski, left, and her Little Sister Savannah Dube enjoy coloring, making clay sculptures and playing jump rope as part of their new match through Big Brothers Big Sisters of Mid-Maine. January is National Mentoring Month, and Big Brothers Big Sisters of Mid-Maine is celebrating its mentors (Bigs) and recruiting new volunteers to become Big Brothers and Big Sisters to over 100 children waiting to be matched. Every January, the news is full of the same stories of people trying to eat healthier or hit the gym more often. This year, Big Brothers Big Sisters of Mid-Maine (BBBSMM) is changing that story by asking: What if this year, you could resolve to do something more important, more impactful? What if you could make a resolution worth keeping, one that inspires more resolutions? In 2019, the agency is asking people to resolve to become a Big Brother or Big Sister. Community residents can learn more about local Littles waiting and how to become a mentor by following BBBS of Mid-Maine’s weekly “Waiting Wednesday” Facebook posts, sponsored by Hannaford Supermarkets. Throughout the month, BBBS is encouraging followers to tag a friend who would be a great Big Brother or Big Sister, using the hashtag #TheBigResolution. To learn more about becoming a Big or other volunteer opportunities, visit bbbsmidmaine.org, email info@bbbsmidmaine.org or call 207-236-BBBS.